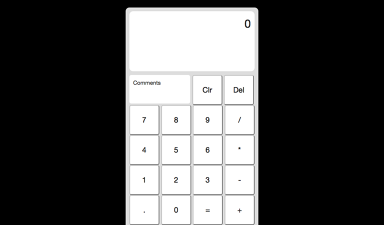 JS Calculator trouble with RegExp and operators "+-*/." I’m trying to check if a new input contains an operator i.e. “±*/.”. If yes, it checks if the last character of a string already has an operator so that it may be replaced with the new operator. If not, it simply updates the string with the new operator. In the end the whole string will be eval(str) to get the result. That’s the idea. I cannot find the problem in the above code. Any help would be great. Here’s a link to the code. The problem area is commented. in the code above, you’ve used the ± operator. I assume that’s a typo, but if you are trying to match on it you can’t then eval on it. in the codepen you are trying to match on the letter x rather than *, you cant eval on that either - 1 x 2 is just nonsense. yes ± is only a typo here. You’re right about changing the “x” to “*”. It is an error but it doesn’t solve the problem. Have to keep searching. Just can’t figure out the problem. You’ve broken the regex - it can just be /[±*/. ]/, though you don’t really need regex. if (str.endsWith(operators)). What you’re trying to do here is (if I use a working regex) if (str.endsWith(/[+-*/.]/)). The string never ends with that - the method checks whether a string ends with a specific character or set of characters, you can’t use a regex to build that set of characters - it has to be a string you check for. the variable chk doesn’t exist - when you test for =, you then go into seeing if chk is equal to an operator, but it never is because chk doesn’t exist. I used the long way in the meantime. It works. Have a look. Still have to sort out decimals properly. But i will use your operators array and “includes” method to simplify stuff now.